The Baseball Project will be embarking on a summer tour in July with dates up and down the East coast. The tour follows the release of the band’s third album, 3rd, released on Yep Roc Records on March 25. The record features 17 swings at the national pastime with subjects including Babe Ruth, Hank Aaron and some of the true characters of the game such as once-beloved fallen star of the Mets and Phillies Lenny Dykstra, and acid-tripping pitcher Dock Ellis. The Baseball Project was formed in 2007 by Scott McCaughey (Young Fresh Fellows, The Minus 5, R.E.M.) and Steve Wynn (The Dream Syndicate, Steve Wynn and the Miracle 3). The endeavor began as a way for a couple of fans with a shared musical vision to pay tribute to our national pastime. Since then, The Baseball Project has blossomed into a full-fledged, much-loved band in its own right. 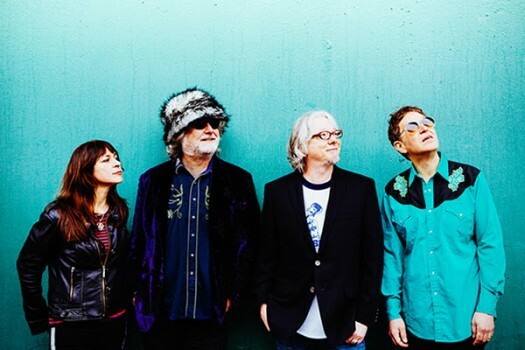 Zuzu’s Petals/Steve Wynn drummer Linda Pitmon and R.E.M.’s Peter Buck and Mike Mills fill out the official roster of The Baseball Project, an all-star squad whose following and creativity has grown steadily with each release and tour. To catch the band on tour, check the dates listed below. The Baseball Project to take part in an ‘Evening of Baseball History & Music’ at the Met.